First of two posts today, been meaning to upload this one for some time. Not much information to be found about French coldwave/synthpop act Comix, and this seems to be their one and only full release. 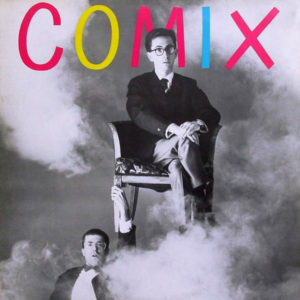 Records show Comix formed as a duo in 1979, consisting of members André Demay and Natan Hercberg. They released two singles and one full length record before their split, and have since been compiled on the stellar BIPPP: French Synth-Wave 1979/85 compilation. Here’s another request for you folks to kickstart the week. 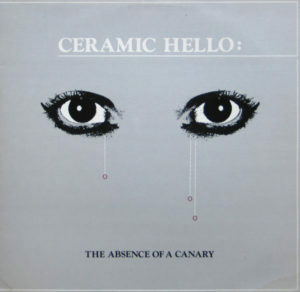 On the slab is Canadian minimal wave band Ceramic Hello’s one and only album, released in 1981. Ceramic Hello formed in 1980 and lasted only 2 years before disbanding, and have never played live. The band consisted of Brett Wickens (ex-Spoons) and Roger Humphreys (a more classically focused musician), who previously played one show together as The Jovial Foresters. Cermaic Hello released one lone 7” single and the record below, which has been reissued in 2006 by Vinyl on Demand. 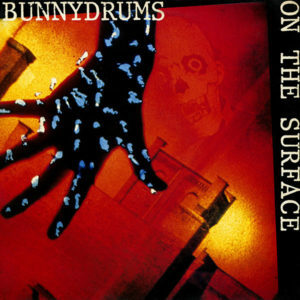 The reissue contains a record of rare demo materials that were once slated for the band’s second record, and also includes a track by The Partnership, a one-off collaboration between Wickens, Martha Ladly and Andy McCluskey of OMD. The project never got off the ground, but this one track appears on the reissue. Otherwise, after Ceramic Hello’s split, Brett Wickens began working with Jah Wobble and focused heavily on graphic design, now based in California. Meanwhile, Roger released one limited run folk/psych record in 1996, entitled Beyond the Wall of Sleep. These days, rumor has it that Humprheys and Wickens are working together on a second Ceramic Hello record, due for release soon. Exciting news, if so! *DOWNLOAD LINK REMOVED* – Reissue now available! Here’s a fun little gem for you folks today… Below lies the first album by Family Fodder, an idiosyncratic London-based synth band active from 1979-1983 (though they officially formed in 1975). 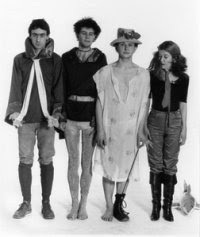 The four piece act consisted of Media Fodder and her three brothers Tod, Rod, and God, obviously a clever lot of pseudonyms, as their discogs.com page reveals a sizeable lot of collaborative members, far more than four, with Alig Pearce being the only consistant member. 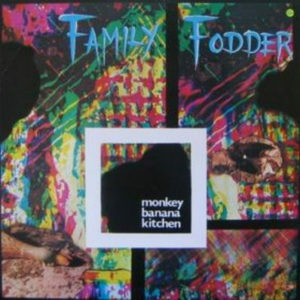 Family Fodder released two full lengths and several quirky 7” singles to a sizable cult following. Their fellowship with experimental post-punk act This Heat also helped bring the band to a bit of underground prominence. 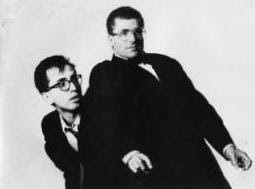 Their music was generally playful, a hint of dub and reggae mixed with absurd, blissful pop, with synthpunk and sometimes experimental instrumentation. Most of the lyrics were also sung in French, courtesy of original vocalist Dominique Levillain, a combination rumored to be of some significant influence over Stereolab. Over the years, the band reformed several times over, recording and releasing sporadically since their initial demise in 1983. A handful of greatest hits collections have also appeared over the years, attempting to collect the band’s initial singles and best moments. *DOWNLOAD LINK REMOVED* – reissued in 2014 on LP and CD! 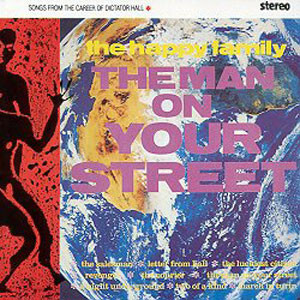 The only in-print Family Fodder disc seems to be one of the more recent compilations, a 42 track anthology that seems to include several of the band’s hits, including alternate versions and more recent recordings. A definite must-have for fans of the band! Here’s a link to purchase the collection, entitled More Great Hits! 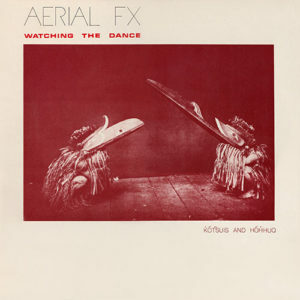 Another request from down under, ladies and gentlemen…This time for UK post-punk/synth act Aerial FX, and their lone full-length, 1982’s Watching the Dance.